What do you do when God dies? It's a question facing millions today, as science reveals a universe that's self-creating, western culture departs from its Christian heritage and the idea of God begins to seem implausible at best and barbaric at worst. Mike McHargue understands the pain of unravelling belief. In Finding God in the Waves, Mike tells the story of how his evangelical faith dissolved into atheism as he studied the Bible, a crisis that threatened his identity, his friendships and even his marriage. Years later, Mike was standing on the shores of the Pacific Ocean when a bewildering, seemingly mystical moment motivated him to take another look. But this time, it wasn't theology or scripture that led him back to God - it was science. 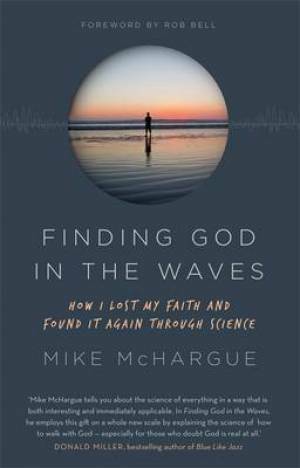 In Finding God in the Waves, 'Science Mike' draws on his personal experience to tell the unlikely story of how science led him back to faith. Among other revelations, we learn what brain scans reveal about what happens when we pray; how fundamentalism affects the psyche; and how God is revealed not only in scripture, but in the night sky, in subatomic particles, and in us. For the faithful and sceptic alike, Finding God in the Waves is a powerful, page-turning read about belonging, life's biggest questions, and the hope of knowing God in an age of science. Finding God in the Waves by Mike McHargue was published by Hodder & Stoughton General Division in October 2016 and is our 21555th best seller. The ISBN for Finding God in the Waves is 9781473653689. Be the first to review Finding God in the Waves! Got a question? No problem! Just click here to ask us about Finding God in the Waves.